Daniele Gottardo este un tanar chitarist italian care la varsta de numai 19 ani si-a lansat primul DVD instructional, numit Tapping, bazat pe tehnica sa proprie de tapping cu 8 degete. De la varsta de 21 de ani preda chitara electrica in mai multe academii de muzica si scoli din Italia. 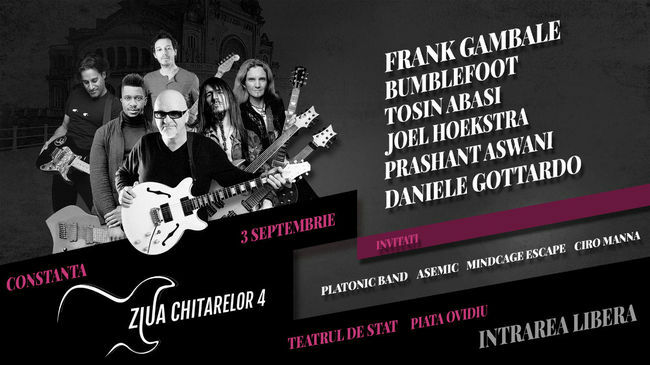 In aceasta perioada este profesor de chitara electrica la MMI-Modern Music Institute din Italia si preda cursuri de specializare aprobate de Frank Gambale. Daniele Gottardo: Thank you to you for the space you are giving me! Metalhead: How was the passion for guitars planted in your soul? When did this happen? Daniele Gottardo: I think it happens after few years I started to playing guitar. Around 17-18 years old I moved through a long existential crisis. During that period I was able to find myself musically and I started to realize that the guitar (read the music)it would take an important role on my life. Metalhead: How did you get your first guitar? Daniele Gottardo: My dad plays the guitar and I found the guitar in the house, it started casually. In fact when I was younger I wasn’t interesting in music but mainly in visual arts. Little by little I realized the music was (for my point of view) a better way to express myself artistically, in few years I move completely to the guitar abandon completely my first artistic passion.But I would like to resume it! Metalhead: Besides guitars, are you interested in any other types of instruments? Daniele Gottardo: I’m interested in piano (I recently started to play it, for expanding my musical horizons and read classical scores) I like all the instruments! In the orchestra I love the woodwinds especially the Bassoon and English Horn and Oboe, I often try to be another instrument when I’m playing guitar and often I take inspiration from those instruments. Metalhead: All guitar gods have a beautiful collection of incredible instruments but only one true love among them, which one is yours? 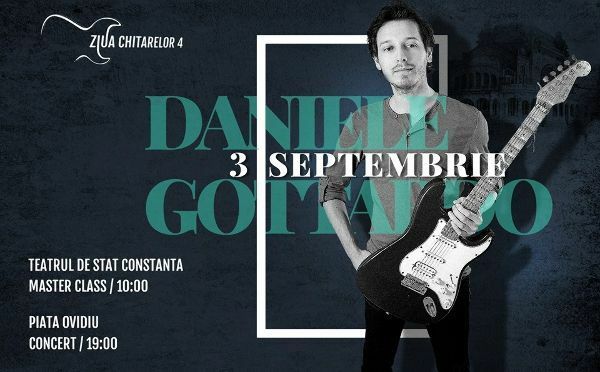 Daniele Gottardo: I’m still using my first guitar of my dad! A red Fender Stratocaster. With really few exceptions I’m only able to play that instrument and I’m very loyal to it, and of course I will perform with it at Ziua Chitarelor! Metalhead: From where do you get your inspiration? Daniele Gottardo: I tend to not rush when is the moment to writing down some new music, sometime it takes a while and I try to don’t force myself to find ideas. If I have no inspiration I usually work on developing my musical languages, studying music for improving my musical skills. When the inspiration came out I try to focus exclusively on the new ideas I found out and I try to visualize them as better as I can. Usually I start to write some new materials in those moments. The inspirations can come out by music I’m listening, from improvisations on the instrument and other kind or extramusical things, for instance visual art. Daniele Gottardo: Yes! There is no limits on our instrument, the electric guitar is a relatively a new instrument, rock guitar players especially needs to improve in the control of the instrument, a lot of things can be improved, starting from the composition for electric guitar! Metalhead: Do you believe in native talent or only in people who practice until their fingers bleed? Daniele Gottardo: I believe in a mix of this two ingredient, but I believe in passion mainly. If you have a real passion for play an instrument and it can help for express yourself, talent and hard practice it will be secondary! It’s important to have long terms goals and develop a vision of what we would like to be as musicians, sometime also practicing 8 hours per day with no clear directions can be easily unproductive. Passion and thoughts are important to me! Metalhead: Eric Clapton or Jimi Hendrix? Which one is closer to your heart? Why? Daniele Gottardo: Ace Frehley! Haha! I know he loves both of the players you mentioned. I never went deep in classic rock and I know few works of this important musicians, in the future I will try to fix this kind of lacks!. At the moment I prefer to listen to Bach or Arcangelo Corelli, Stravinsky or Charlie Parker, those are some of artists who touch my heart and mind. Metalhead: Do you think guitarists were more passionate and dedicated in the "old times"? Daniele Gottardo: It is difficult to say, in those days with have a saturation of informations of every kind thanks to internet. In the past musicians has less distractions probably, then more focus. Our modern saturation tends to create inattention to everything. For instance now we can find very easily a whole discography of an artist in a click! It’s clear it will impossible to listen carefully to all that material and the result it will be the understanding of some sparse and disconnected informations that will not really help our musical growth. Now it seems more difficult to stay focus and then develop a good dedication in something, I try to remember this kind of problem every day in my musical life. Metalhead: Can you name one golden rule for guitar beginners than can help us, the noobs, tame this beautiful instrument? Daniele Gottardo: Hehe, use your imagination and be patient! Metalhead: Thank you once again! We are looking forward to listen to your guitar magic! Daniele Gottardo: Thank you so much to you and see you soon in Costanza! Ziua Chitarelor este un concept unic in lume propus de chitaristul italian Corrado Sgandurra incepand cu anul 2009. Stabilit in Romania, chitaristul concepe un festival original din toate punctele de vedere, dedicat nu doar chitaristilor, ci si iubitorilor de muzica buna. In primele 3 editii, festivalul a gazduit numerosi chitaristi de renume international care nu numai ca au sustinut recitaluri, dar au si impartasit doritorilor secretele interpretarii la chitara in cadrul unor master class-uri organizare in scop educativ si cultural pe tot parcursul evenimentului. Avand ca principala motivatie educarea tinerilor muzicieni romani si ridicarea nivelului calitativ de interpretare instrumentala, festivalul a permis ca accestul publicului sa fie gratuit, incurajand tinerele talente sa-si imbogateasca si actualizeze cunostintele muzicale. Ziua Chitarelor, aflat la cea de-a patra editie, este un festival extrem de popular, cu fan cluburi in toata tara si cu foarte multi fani aflati dincolo de granitele Romaniei. Aceasta editie a festivalului Ziua Chitarelor este organizat de Centrul pentru Resurse Civice cu sprijinul Primariei Municipiului Constanta.